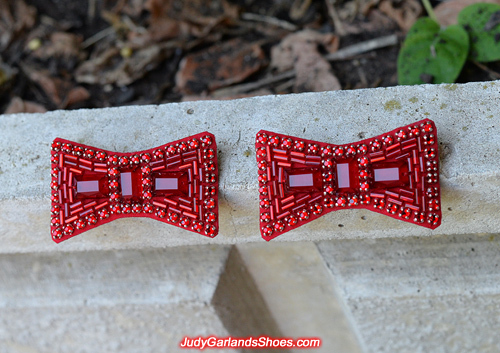 A beautiful pair of hand-sewn bows crafted in April, 2018. We are experienced campaigners and there's no question that we make really stunning bows with custom-made materials to match the originals. 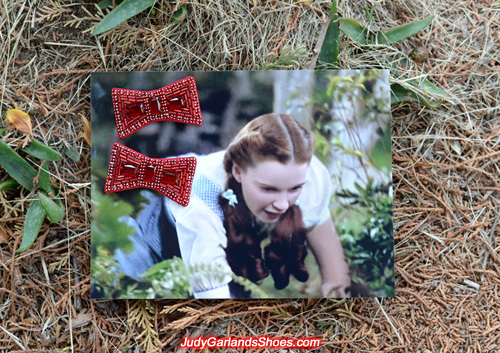 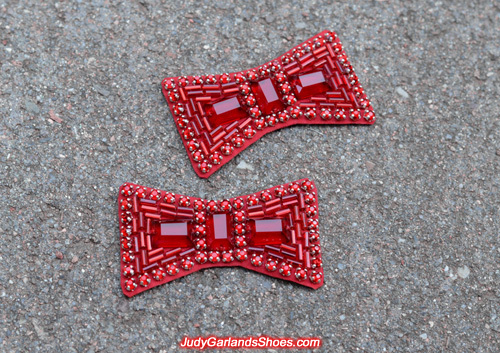 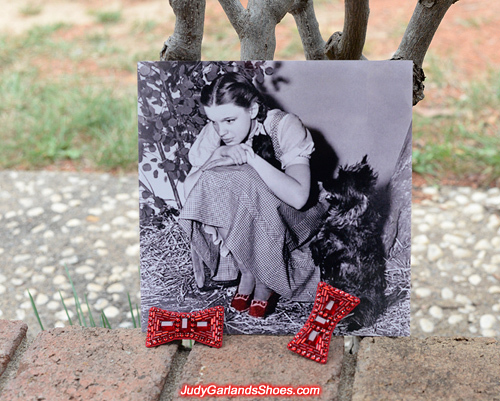 This pair of bows is a few millimetres bigger than our standard bows because they are intended to be used on a larger size pair of ruby slippers in the near future. 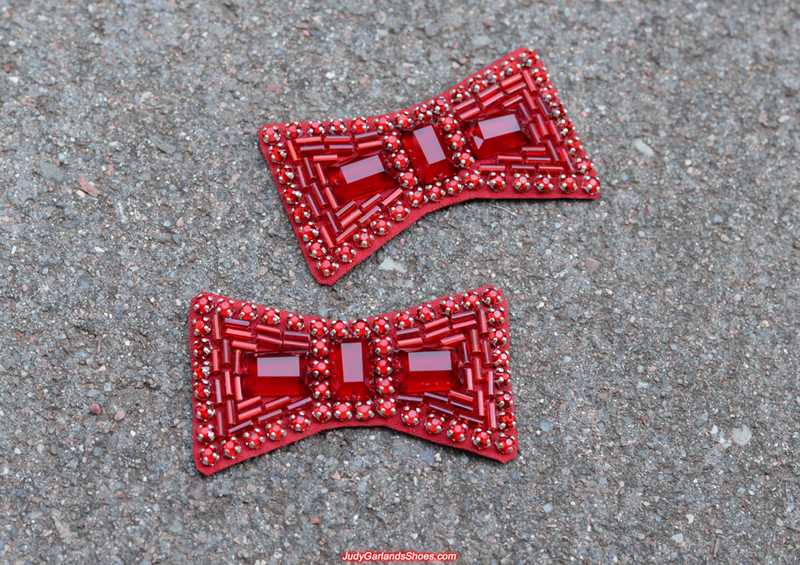 Bows with 3 columns of bugle beads on each side means they are our big bows, albeit just a few millimetres bigger.